"Listening and Learning from Customer Reviews to build Consumer Trust"
Soliciting and sharing customer reviews have become a crucial element of both marketing and future product development as well as building the consumer trust. Looking for ways to respond effectively to online customer reviews? This white paper briefly illustrates a complementary solution to the problem of building consumer trust that involves the use of a third party system to expose potential buyers to the experience of previous customers. What are the ways to build consumer trust with customer reviews? What is the impact of customer reviews on consumers' buying decision? What are the benefits of sharing customer reviews for business? 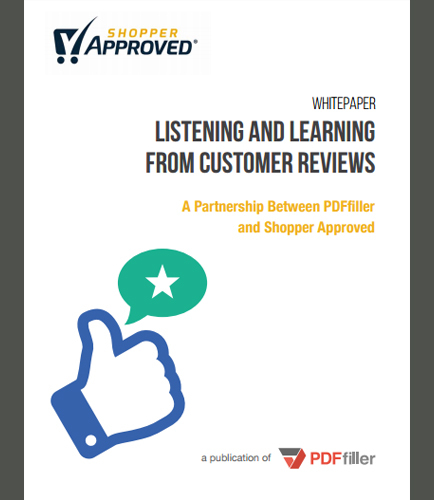 This white paper helps you to gain insights which leverages direct customer feedback to make your products and services more meaningful to the customers you serve.